The show kicks off with Michael Bennett and Maria Kanellis who came out to the ring to apparently make out in front of everyone so that Michael Bennett could brag about how hot his now wife was (I guess that’s the proper heel thing to do, right?) This segment didn’t really serve a purpose to me. It just seemed like they came out for no reason. They put over the importance of the Title of Love and out came The Romantic Touch, who wanted a shot at the belt. Michael Bennett accepted the challenge, which would lead us into the first match of the night. Thoughts: First of all, when this happened I was hoping that they would have Bennett lose the belt to the Romantic Touch; a guy like Touch having the belt would actually fit his character and add some depth to it. However they decided not to go that way. At one point on commentary, Steve Corino referred to the title as the “Title of ‘Ruv,’” which is extremely racist—but also super funny. The Romantic Touch would hit a Monkey Flip out of the corner on Bennett in order to pick up a near-fall. Michael Bennett would bring RT out to the apron and deliver a Side Effect on the apron (they seriously need to knock that crap off—especially with Bennett, who legit injured someone while doing a piledriver on the apron). The finish came when Bennett hits RT with a Side Effect because Bennett is a Create-a-Wrestler who does other people’s moves, I guess. Rating: *1/2. I’m being nice because The Romantic Touch was in the match and I like him…but I HATE Bennett. Out of the first match, we go to a recap of how Jay Briscoe became only the second man to hold the ROH World Title more than once (the first was Austin Aries). We then go to the next match of the night. Thoughts: Elgin obviously wasn’t taking this match seriously—he came to the ring in street clothes. He tried to lay down for Coleman twice during the match for whatever reason. After that, we cut to a commercial. Once we come back from the commercial break, they are no longer in the ring. This match never really took place, as it was just a way to further Michael Elgin’s new jerk character (which is not really a character per se as I hear). This video’s actually last year’s commercial. But, thankfully, this year’s commercial is pretty much the same thing just with updated stuff. From that commercial, break we come back to a lead-up for the World Title match between challenger Adam Cole and current ROH World Champion Jay Briscoe that will take place as the main event of this year’s Final Battle on December 6th on PPV. From there we head back into the arena for the third (technically, second) match of the night: the main event of the evening. Result: AJ Styles defeats Hanson via pinfall following a Styles Clash. Thoughts: This match was really good, it looks really weird on paper but both guys did a great job. Hanson is really coming into his own since his War Machine tag team partner Raymond Rowe (who was on commentary for the match) has been out indefinitely due to a legit motorcycle accident. He definitely has used this time as a singles star to shine and it really hasn’t been that long since he was back in singles action. Early on in the match, Styles would hit a flipping dropkick. At that point, Steve Corino took time to mention BJ Whitmer on commentary for some reason because Corino hates Whitmer. If Corino really hates Whitmer, it’s actually really funny how he goes about showing it. Legit or not, it’s still really funny because it comes out of nowhere. Hanson would attempt a dive outside of the ring on Styles and CRASH AND BURN, as Styles would move out of the way. Hanson would quickly recover and pick up Styles and throw him like a dart into the ring post. Back in the ring, Styles tried a hurricanranna but gets reversed by Hanson who delivers a knee to the midsection of Styles. Later on, AJ would make his way out to the apron where he would springboard off the ropes and hit a flying forearm on the big man. Hanson would recover and hit Styles with a huge powerslam, which got a two count from the referee. AJ would quickly recover and lock Hanson in the calf killer submission. Hanson would find his way to the ropes and Styles would respond with a lifting brainbuster. AJ hits a 450 Splash on Hanson’s leg and follows it up with another calf killer, but Hanson wouldn’t give up. Hanson recovers and hits Styles with an emerald fusion for the nearest of near falls. Seriously, you could have slid a piece of paper underneath Todd Sinclair’s hand. That’s how close it was. The match would end when Styles would hit Hanson with the Styles Clash, which he struggled to pull off. At least Hanson didn’t Kazarian himself and almost break his neck. This match was really good—probably better than it should have been because like I said, it looked really weird on paper. But, I would definitely check it out if you can. Closing Thoughts: Yet another solid hour of wrestling and one of the best wrestling shows on TV (the other being Lucha Underground). The Michael Elgin angle was extremely unnecessary, awkward and unneeded. It served no purpose but it was what it was. They are trying to further his new “character” direction. So, I can’t fault them for that. But, it just came off very weird. Check this show out if you have a spare hour this week. The main event was a sleeper match, which is worth giving a look. That’ll do it for me for this week’s ROH TV review. 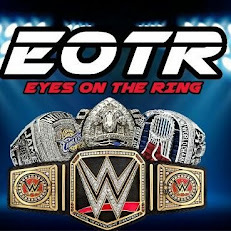 So, until next time ROH faithful, I am Nathan saying so long and be sure and keep your Eyes on the Ring and stay tuned for all of the great upcoming content. Be sure to like us on Facebook, follow us on Twitter.